Ever make a shirt that was too tight across the chest or restricted arm movement? Ever make a pair of pants that were too tight in the seat? Ever make a skirt or shirt that was too narrow to fit over your hips? Ever wonder what tailors in period did to fix these same types of mistakes? Venture forth, intrepid costumer, into the Land of Gores and Gussets! 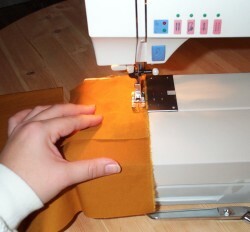 Gores and gussets are specific types of fabric inserts. Widely used throughout the Renaissance in the construction of underwear, gores and gussets can also be found in clothing throughout Eastern Europe and Central Asia in the construction of outer garments. These types of inserts are very ancient. Gores and gusset insertions can be found in all sorts of garments in period. 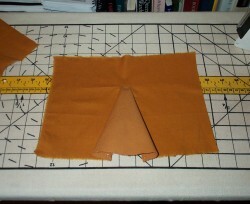 In rectangular construction techniques, gores and gussets form the foundation for shaping the garment around the body. Gores, also known as Godets, are generally triangular shaped pieces of fabric inserted into a slash or a seam to give extra fullness to a garment. Gussets are usually square or diamond shaped pieces of fabric, sewn in under the arm or crotch of a garment to allow for more range of motion. Some excellent examples of gores and gussets can be found in the text Cut My Cote. A man's shirt, probably French, 13th century shows the insertion of a gore into the center front and center back of the shirt (fig. 1). Another example is a woman's shirt, probably Italian, 17th century showing square gussets inserted under the arms (fig. 2). As stated above, gussets are nothing more than square or diamond shaped pieces. 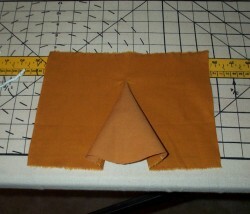 Most of the time, even a small gusset can alleviate a tight arm in a garment. In Renaissance underwear, there is no really specific formula for how big or small gussets must be. Most of the time they are made from scraps and this tends to inhibit their size more than anything else. 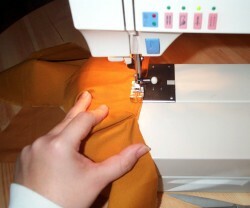 For outer garments, however, the size of the gusset needs to be enough to add the required width to the garment so that it hangs and wears well. 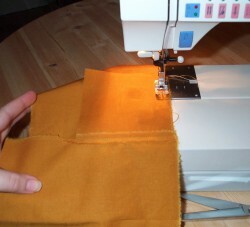 To add give to a pair of pants, simply insert the gusset after the front and back seams are sewn but before the inseams are sewn. The operation is exactly like inserting into the underarm of a garment. It is best to insert gussets after the arm piece has been sewn onto the body piece but before the side seam is sewn together. If you are planning on flat felling or french seaming, you will need to plan for those seams during the insertion phase. 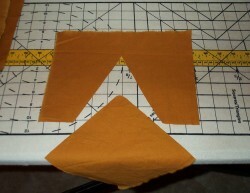 Step 1: Sew one side of the gusset to the arm piece at the underarm section. 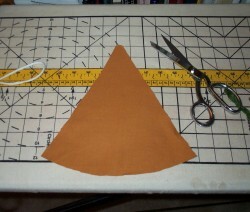 Step 2: Sew the arm/gusset to the side seam of the garment. 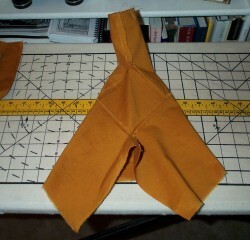 Step 3: Sew the other side seam to the arm/gusset. 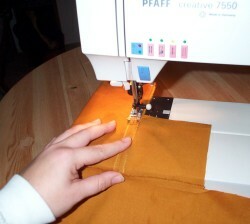 When hitting a corner, gently ease the needle around the corner while continuing to sew to the side seam. Step 4: press seams. If such square corners makes things difficult, try rounding the side corners. 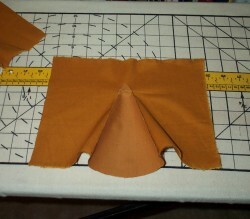 Leave the corners that fit into the arm seam and the side seam pointed. Patterning gores requires nothing more than a piece of string. Begin by making the slash in the fabric. 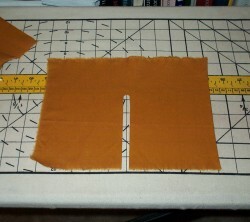 Using the string, measure out the length of the slash and add about half an inch for seam allowance. 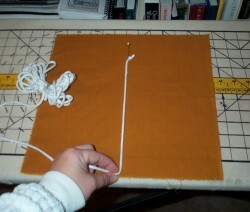 Taking that measurement, place a pin in one end of the string and pin it to a piece of pattern paper. Using the other end like a compass, draw the sides and the lower edge of the gore. Make sure to add seam allowances to the sides or the gore will end up being slightly smaller than you may have intended. Step 1: Pin your string to just above the top of your slash. Measure the length of the slash and mark the string. 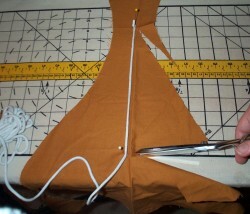 Step 2: On the fabric chosen for the gore, pin the top of the string to the fabric. Using the mark in the bottom of the string either draw or cut out the gore. Step 3: Continue using the string as a guide until you have your gore or gore pattern. Gores can present a special problem during the insertion phase. Unlike gussets, which are inserted into a two-seam apex, gores are frequently inserted into slashes in the fabric. This presents a problem since the point of the gore must be sewn into the end cut of the fabric. Further problems arise when french or flat felled seams need to be applied. There is absolutely no way to flat fell the seams of a gore. There is a way to french seam the seams of a gore. It can even be done entirely by machine. Most of the time, however, I'll leave the point to be finished by hand. Step 1: While sewing, place gore on the bottom. Sew the seam until almost to the end of the slash. 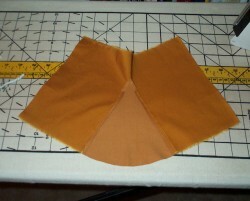 Right before, gradually angle the seam towards the slash, so that the seam allowance become very thin. Step 2: Right before the end, gently pull the slash straight out. Leaving the needle in the fabric, gently ease the stretched slash fabric around the point. This will take about five or so stitches. 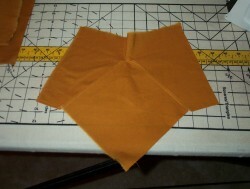 Step 3: Once you've rounded the corner, finish the rest of the seam. Iron seams flat but clip them near the point. Iron the point seams up. Step 4: Flip and iron the outside of the seam, if possible. This particular method, because of the harsh point, takes a little practice. If the above method makes you want to scream, try the two alternate methods presented below. Step 1: Cut the slash as before but open it up and round the end. Step 2: Measure and cut gore as usual. Insert as described above. With the rounded end on the slash, however, it will ease around the gore point with much less fuss. Step 3: Finish up and iron as describe above. This particular method lends itself well to french seams and is specifically used in the construction of rectangular pants. French seaming gores without a messy top is possible, especially when using 'springy' fabrics such as wool. Step 1: Cut the slash but open it up by cutting it at an angle, as above. Measure and cut the gore as described. Step 2: Insert gore as described above. The angle makes it even easier to round the corner. French seam as usual. You may want to ease the french seam around the corner by hand.